Liverpool, PSG and Inter Milan are all keeping tabs on Marcos Asensio, reports Spanish outlet OK Diario. 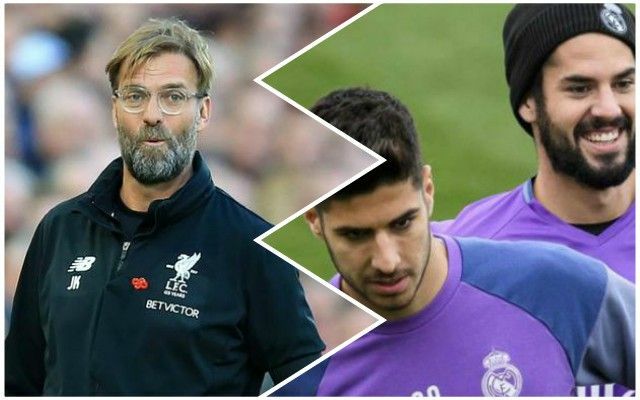 The article suggests that Jurgen Klopp hasn’t forgotten about the young playmaker, despite Asensio signing a massive contract extension last year. The playmaker possesses incredible skill, can score goals from range and has a penchant for genius, although he’s struggled to show as much this season. In fact, Asensio has just one goal and one assist in La Liga – often struggling for a start under Santiago Solari. We’d have a little more time for the report, however, if they didn’t make the bogus claim that Liverpool had a €180m bid for the 22-year-old rejected in the summer – which simply didn’t happen. It’s likely that Asensio is on the radar; he’s young and incredibly talented – but we’d be surprised if Real Madrid would consider a sale right now. Isco, who’s been there for longer and has had issues with multiple managers, would probably be more likely available should we fancy pursuing the attacker at the end of this season.